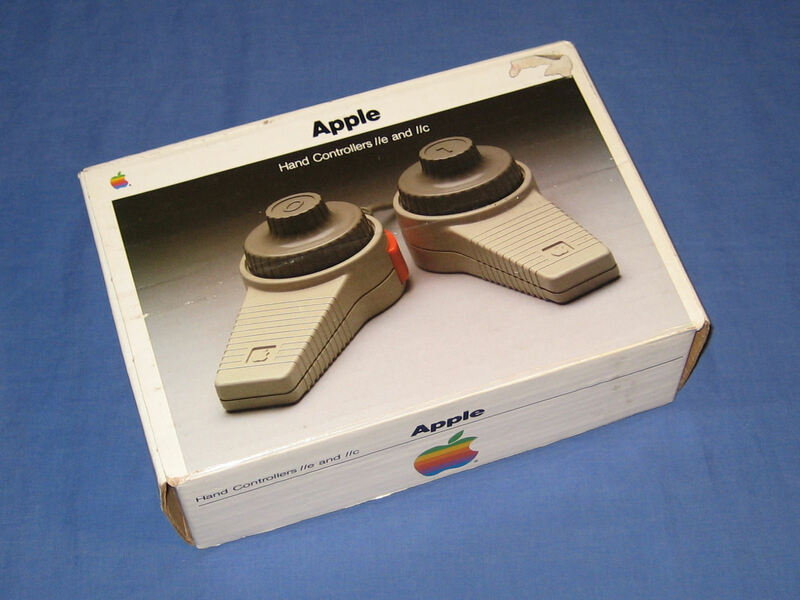 The box for the hand controllers. 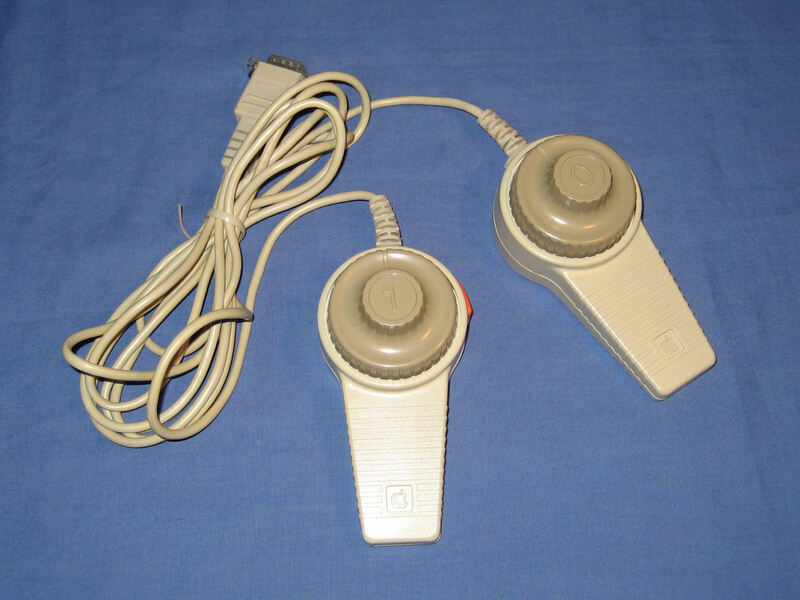 The hand controllers are labelled 0 and 1 with each featuring a dial control and a single button. 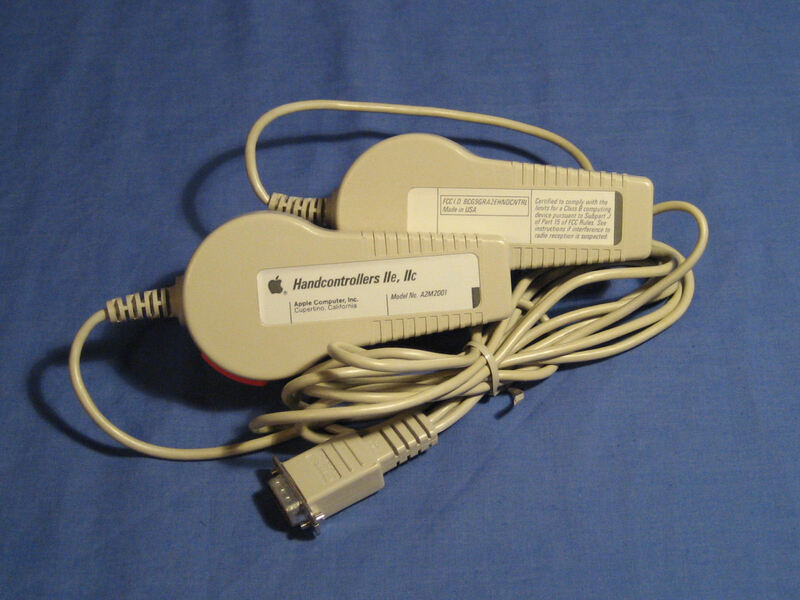 The cables branch off from the single 9 pin connector. The underside of the hand controllers. 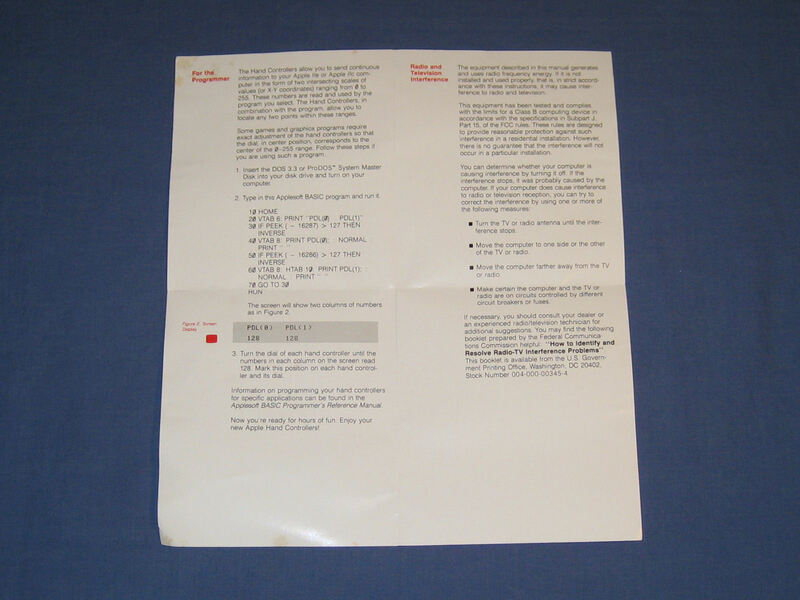 The front and rear pages of the instruction leaflet. Two pages in the leaflet detail how to install and use the hand controllers. 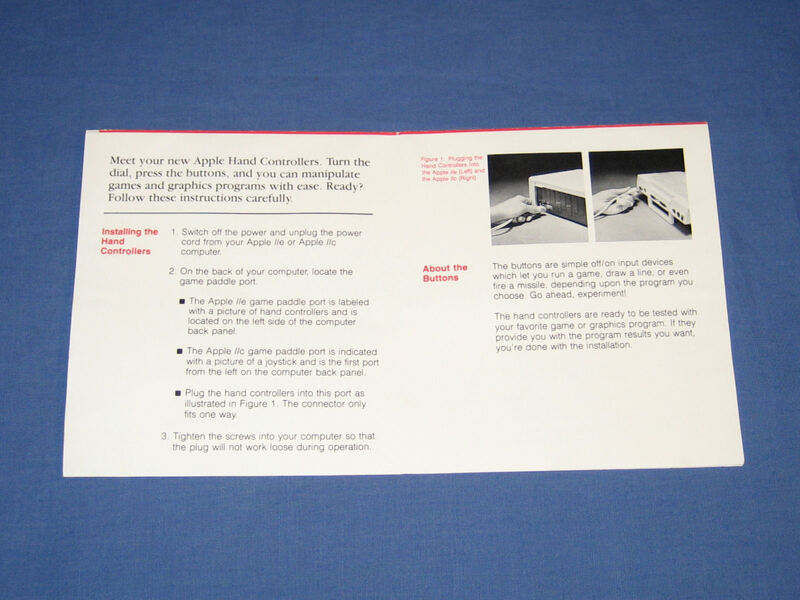 The remainder of the leaflet contains advanced information that includes a sample BASIC program to read the dial values of the controllers. 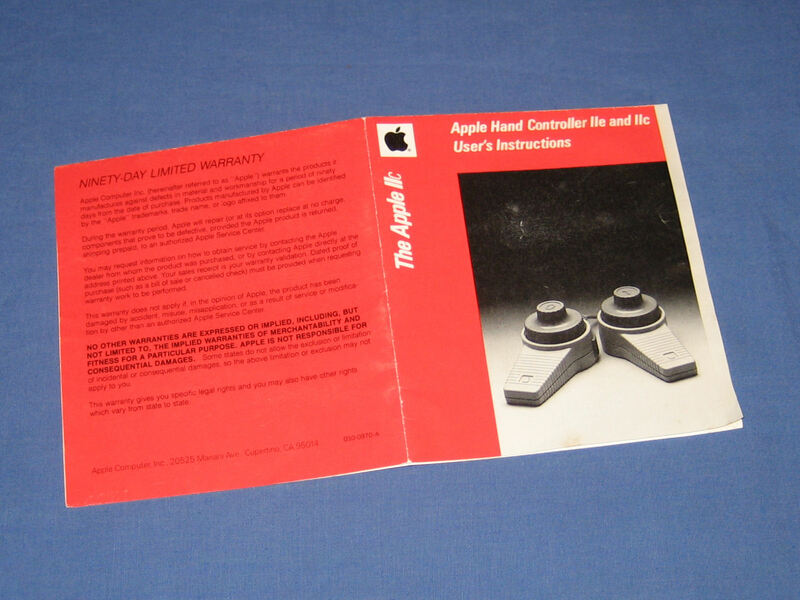 Apple II Paddles - The terribly exciting Apple Paddles for the IIe & IIc!